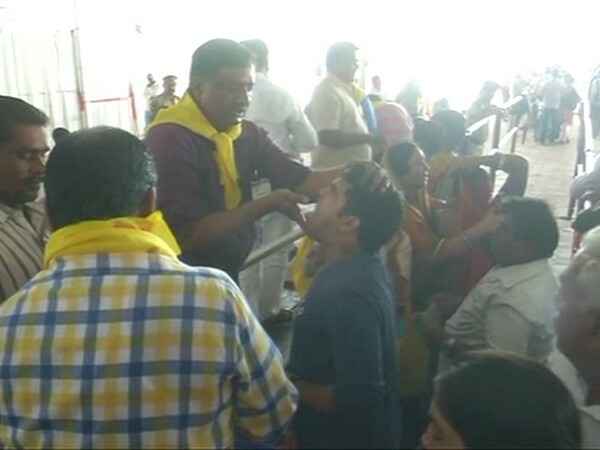 Hyderabad (Telangana) : On the occasion of 'Mrigasira Karthi', a special 'fish prasad' which cures asthma and other respiratory ailments is being distributed free of cost at Namapally Exhibition grounds today and on Friday. The 'prasad' is being distributed by the 'Battani' family of Hyderabad for the past 172 years. Battani Ajay Goud told ANI, "We are doing this since 172 years." People from various parts of the country and the world come here for the prasad. "I took for the first time and asthma problem cured a little. This would be my second time, and I hope it shows some miracle again", said Syamala, a teacher. Manoj Kumar, a dancer from Hyderabad, said, he heard a lot about this medicine and wanted to try it.